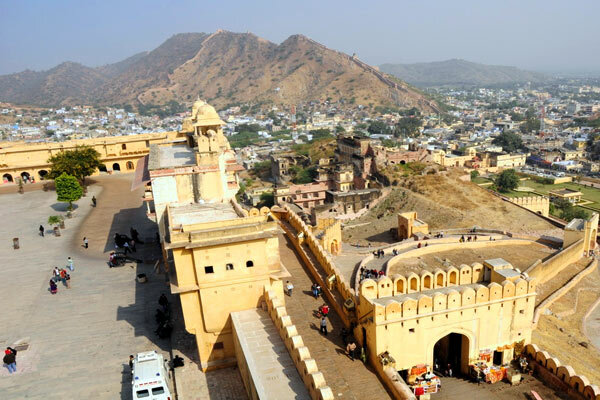 The City of Victory, Jaipur, was founded by Kachhawaha Rajput King, Maharaja Jai Singh II in 1727, who ruled from 1699 -1744. 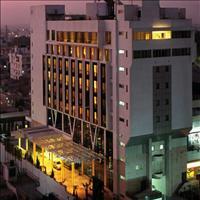 His took special interest in the designing, planning and execution of the making of this city. 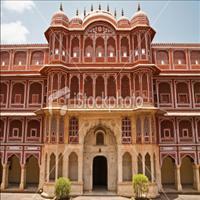 This has been divided into nine blocks, two of which were kept for the city palace and other state buildings. The rest were for the public. 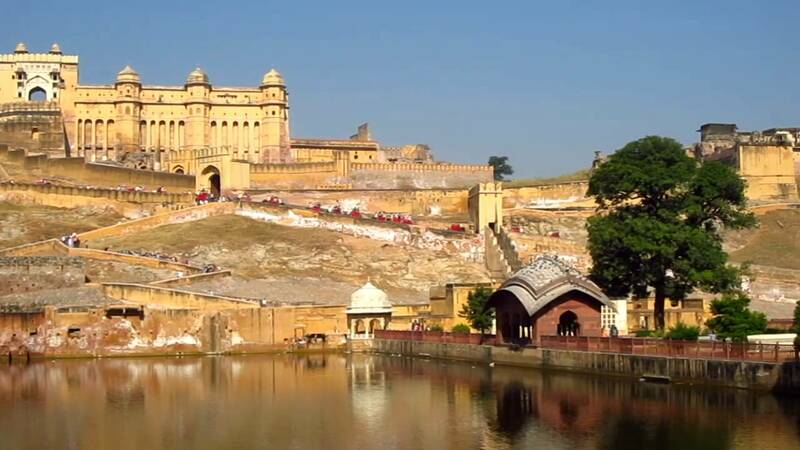 The city was encircled by a city wall and seven gates opened in to the city.<br />In 1728 maharaja Jai singh II built the observatory, still one of the main tourist attraction&apos;s of Jaipur. 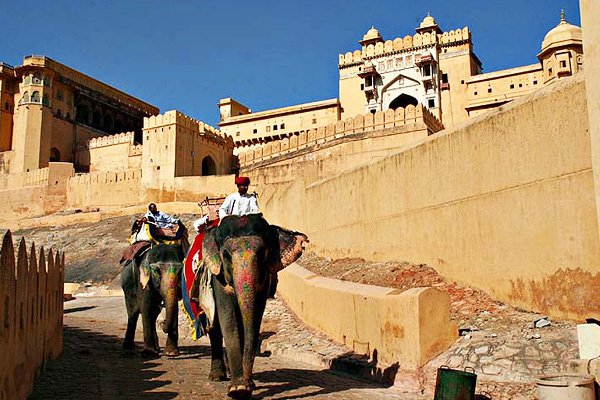 The old city of Jaipur has neat and broadly laid out avenues, all painted in pink thus giving a magical glow to the city in the evenings. 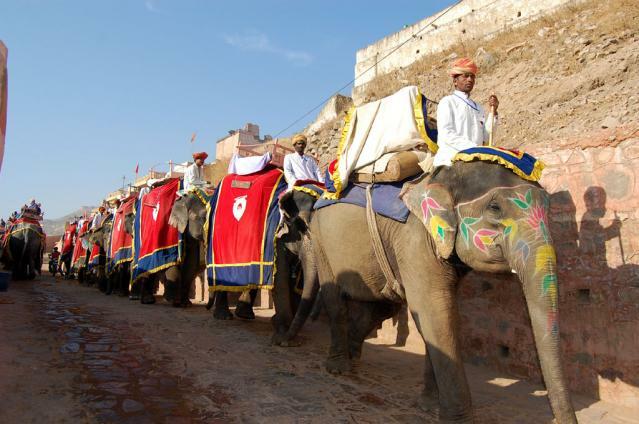 Jaipur has what the most other Indian cities do not have, a combination of cultural and architectural beauty. 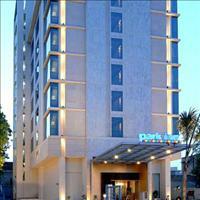 This is evident in the various historical sites that dot the city. 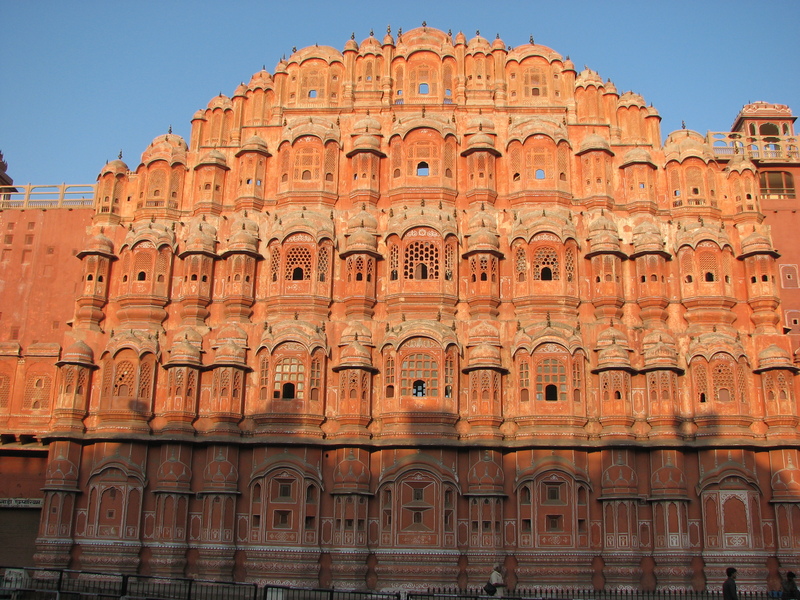 Amongst the most striking monument is the Hawa Mahal. 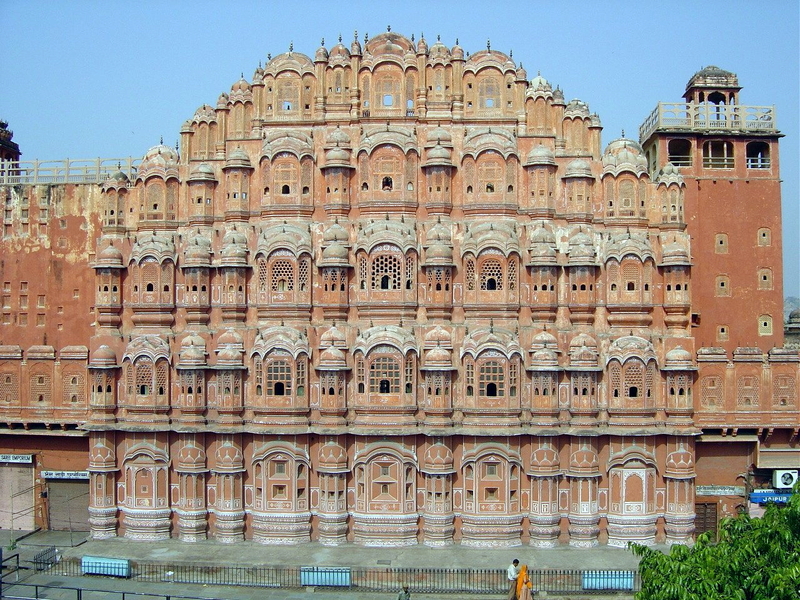 As against the popular belief it is not actually a wind palace, but a sandstone screen, specially built for the ladies of the palace to watch the processions on the roads below, without being seen.<br />Jaipur is also famous for semi-precious stones and the best place to buy them is the Johari Bazar. 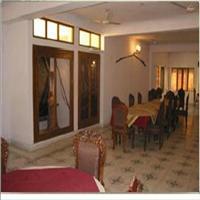 Miniatures, handicrafts, clothes, Jewellery of silver and Lakh are the other items that can be bought in Jaipur. 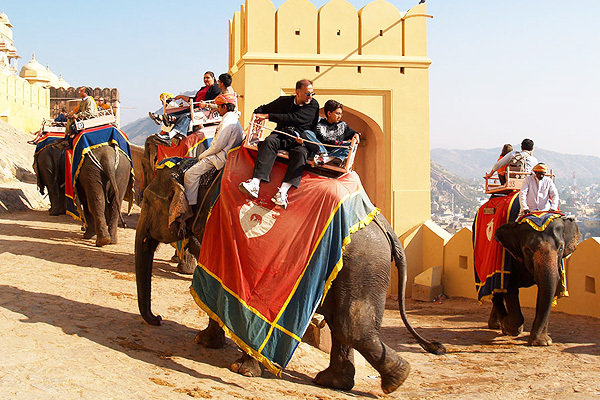 The Pink city of Jaipur is the capital of the Indian State of Rajasthan, famous forits forts, palaces, lakes, sand and colorful culture. The city extends from latitude 26.55 in the north and Longitude 75.52 east. 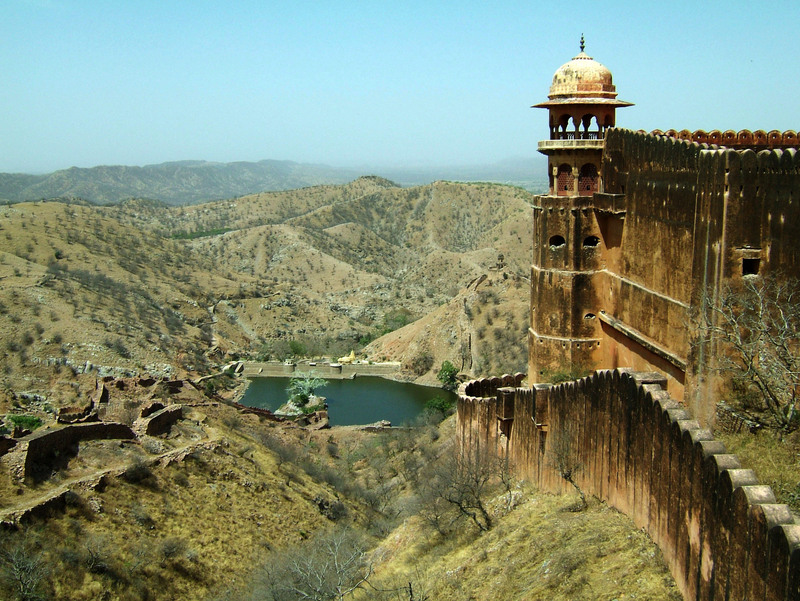 Jaipur would have been part of the Thar desert but for the Aravalli hills that cover it from one side. 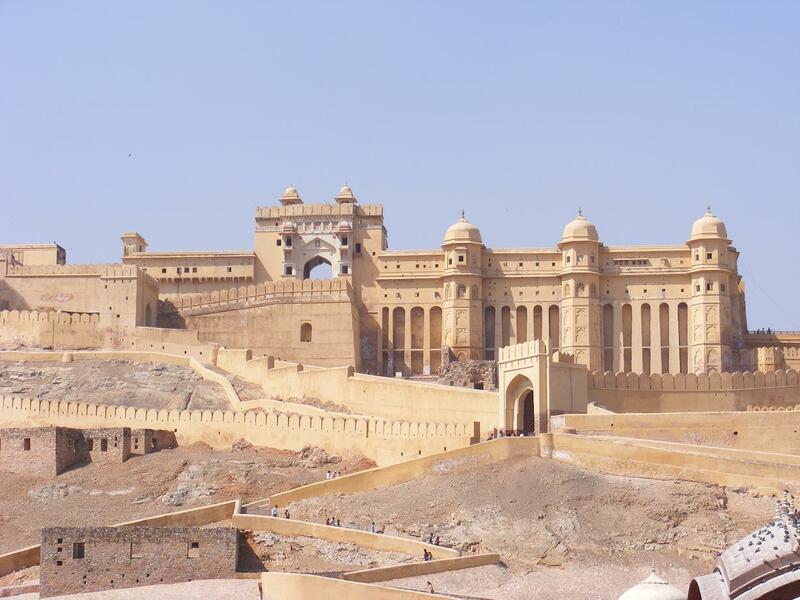 It is just 258 kms away from the national capital Delhi and thus forms the third angle of the famous Golden triangle for the tourists apart from Delhi and Agra. The Kanak valley formed by the Aravali ranges adjoins the town of Amber and stretches towards Jaipur. The hills and valleys are covered with Dhik and Kadamba trees. Traveling deeper into the valley one can see the waterfalls, lotus ponds and flowering plants. The entire forest seems to be on fire in summer when the flame of forest blooms. Migratory birds such as the Neel kanth, Kingfisher and the spotted dove are the frequent visitors here.\r\nThere are temples here standing for the three centuries. A garden known as the Kanak bagh and temples of Govind deoji and Natwarji are situated on the bank of a river Dharbawati, which used to flow through the city once upon a time. Today it has turned in to a lake and Mansagar. Holy water from several rivers was accumulated for the performance of Ashwamedh Yagna over here.\r\nSawai Jai singh named it Kana valley nearly 280 yrs ago, when Amber was his capital. 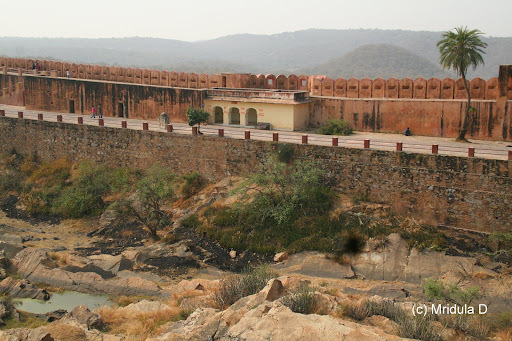 The valley reminded him of Vrindavan and he installed an idol of Lord Krishna, Govind Deoji During religious festivals of Teej and Gangaur processions come to this place giving it religious importance. 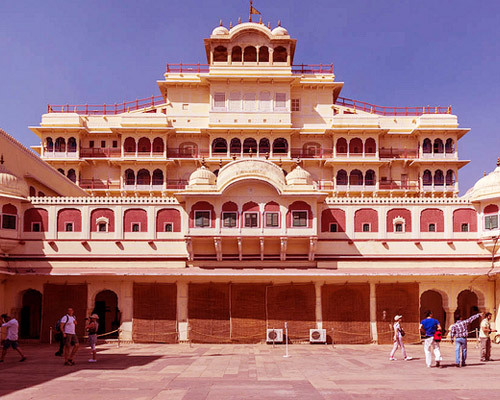 In the heart of the old city stands the majestic city palace, a former residence of the royal family. 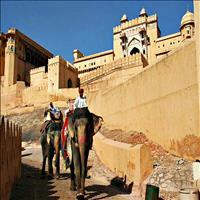 It ahs a fine blend of Rajasthani and Mughal architecture. 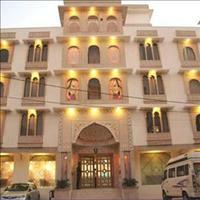 The carved arches are supported by grey white marble columns ornate with floral motifs in gold and colored stones. 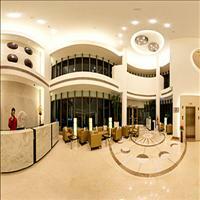 \r\nTwo marble elephants guard the entrance. 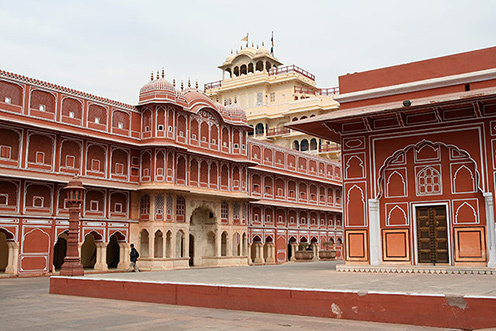 The palace houses a museum with an excellent collection of Rajasthani costumes and armory of Mughals and Rajputs, including swords of different shapes and sizes. 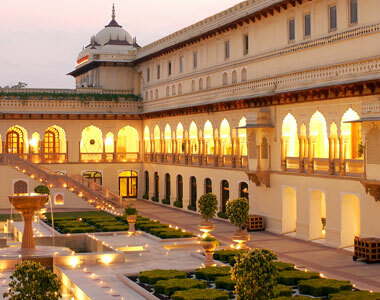 Some of them have precious stones embelled handles in gold.The palace has an art gallery with an excellent collection of miniature paintings, carpets, and rare astronomical works in Arabic, Persian, Latin and Sanskrit acquired by Sawai Jai Singh-II. 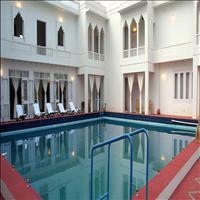 It has a mixture of pillars, arches and courtyards adorned with murals. 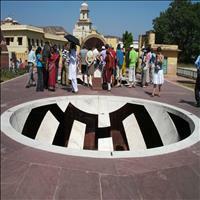 The museum or the Albert Hall is located in the Ram Niwas garden. 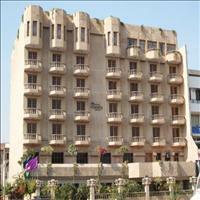 The building was constructed under the guidance of British Army officer, Lt. Swinton Jacob. 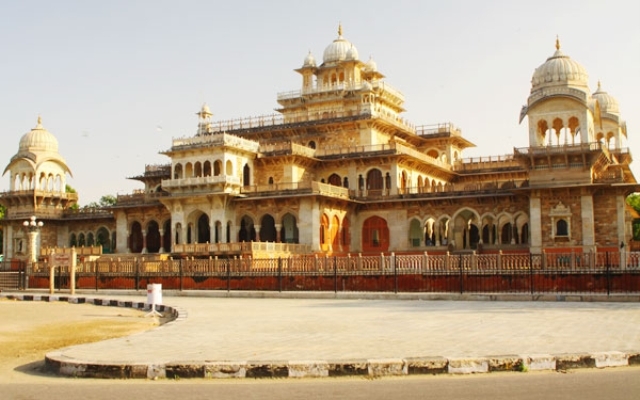 Mahraja Ram singh, the then king of Jaipur wanted this to be the town hall but his successor converted this into an art museum for the city of Jaipur.\r\nThere is an interesting display of rural life of Rajasthan. 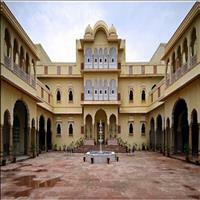 The museum houses a large collection of metalwork, jewellery, textile and ivory carving. There are specimens of embossed brassware. 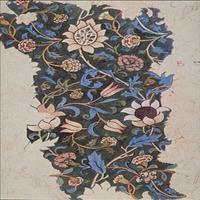 It also ha s a good collection of pottery objects in addition to the sculpture and paintings. 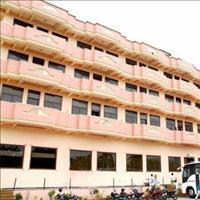 A lush spacious garden with a zoo, an aviary, a green house, a herbarlum, a museum and a popular sports ground.\r\nIt was built by Sawai ram singh-II in 1868 A.D. as a famine relief project.\r\nRecently the Rabindra Manch with an auditorium, a modern art gallery and an open air theatre has been added to promote the cultural activities.\r\nRambagh palace has now been converted in to a leading Heritage hotel of India. 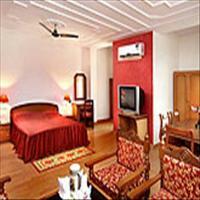 The rooms have an imperial legacy and the hotel has greenery all around. 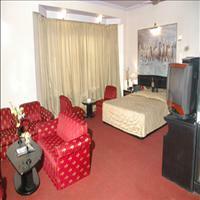 The Chinese room and the swimming pool in this hotel are interesting. 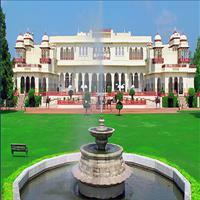 It was built by Sawai jai Singh in 17 10 for his queen, 8 kms away on the Jaipur Agra road. 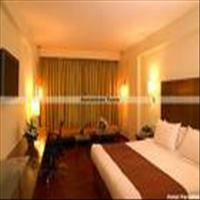 It consists of a central room with galleries on the three sides Terraced gardens with fountains and pools with magnificent pieces of sculpture enhance its beauty. 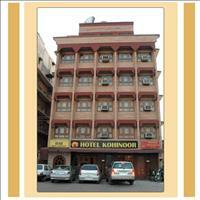 Not far from here are the temples of Lord Shiva Lord Vishnu and Lord Hanuman. 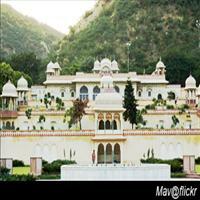 The temple is situated at the foot of Moti Dongrifort, a small palace of Gayatri Devi. 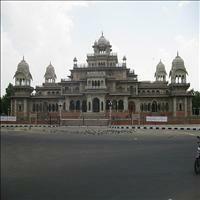 The white marble temple is built by the Birlas and has three domes, signifying different approaches to the religion. 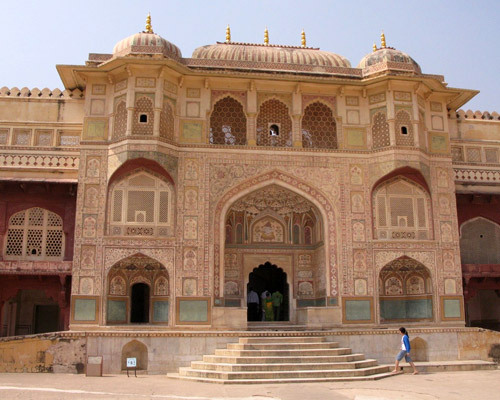 10 kms east of Jaipur on the road to Agra lays a succession of pavilions and temples and pools hidden in a gorge. Centuries ago a sage named Galva performed his penance here. A sun temple stands on a nearby summit. 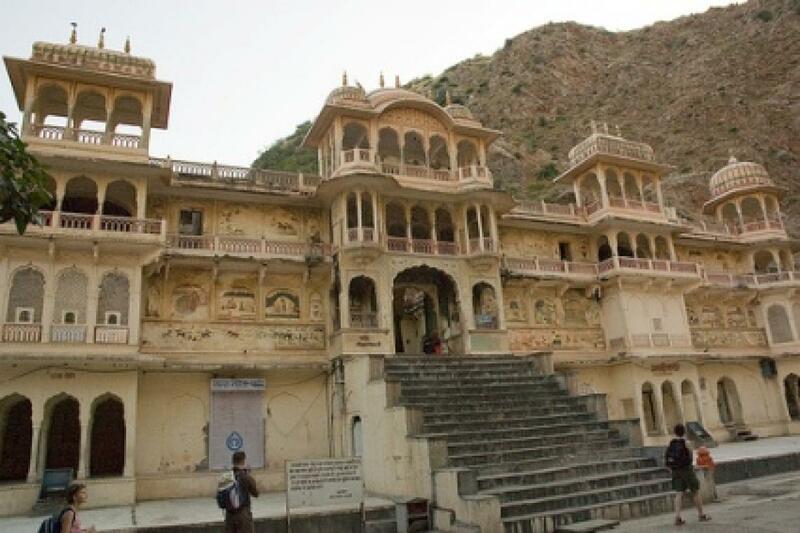 There are natural springs having curative properties and are thronged by pilgrims.\r\nThe Galta temple is financially supported by the Birla family. In this complex there are temples on the right and the left reverberating heavy sound of drums and bells. 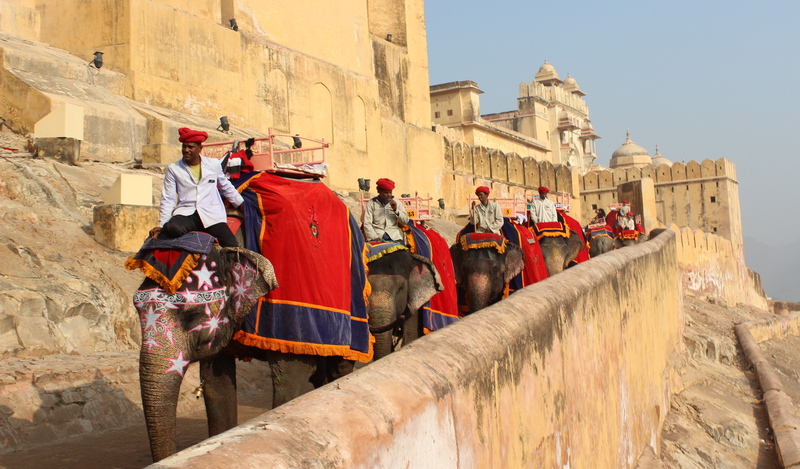 Behind these temples are the tanks known as Kund. 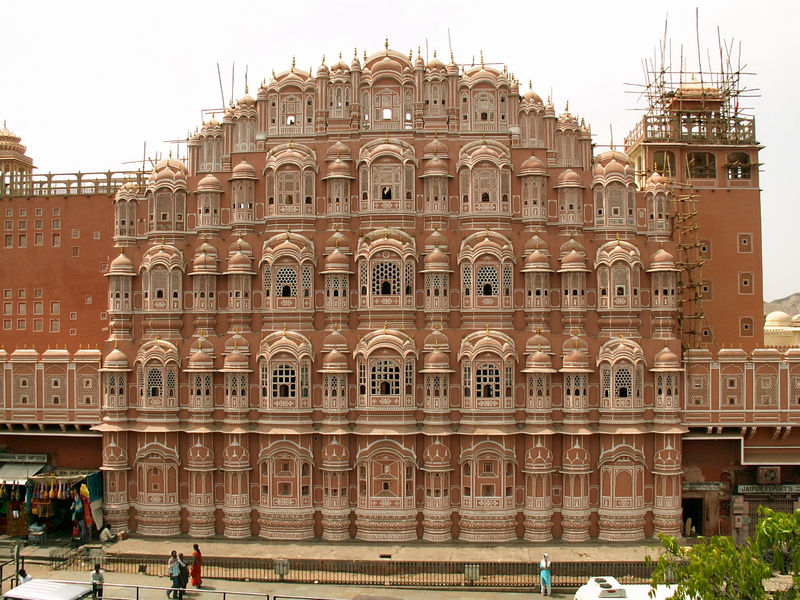 The Hawa Mahal is the most important landmark of the city. 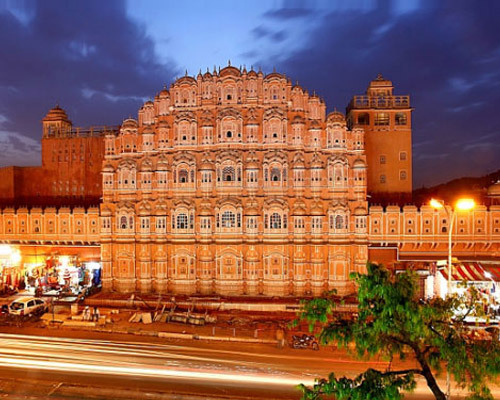 This honey-combed building, known as the wind palace was originally built to facilitate the women of the royal families to watch the everyday life and the processions held in the pink city, without being seen by the people downstairs. 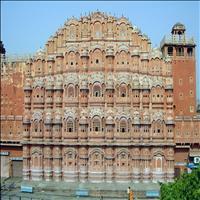 This remarkable structure was built by Sawai Pratap singh in 1799. 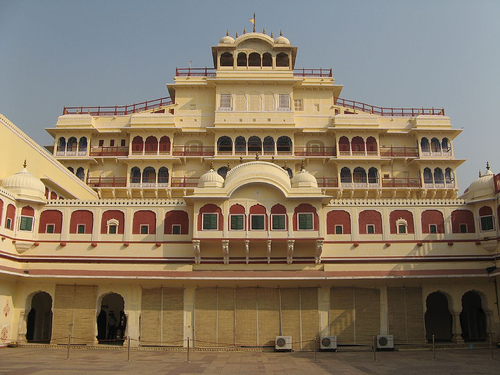 The outer structure look like a crown (mukut) adorning Lord Krishna!¦s head, as the building is dedicated to the Lord of whom, Sawai Pratap singh was a great devotee. 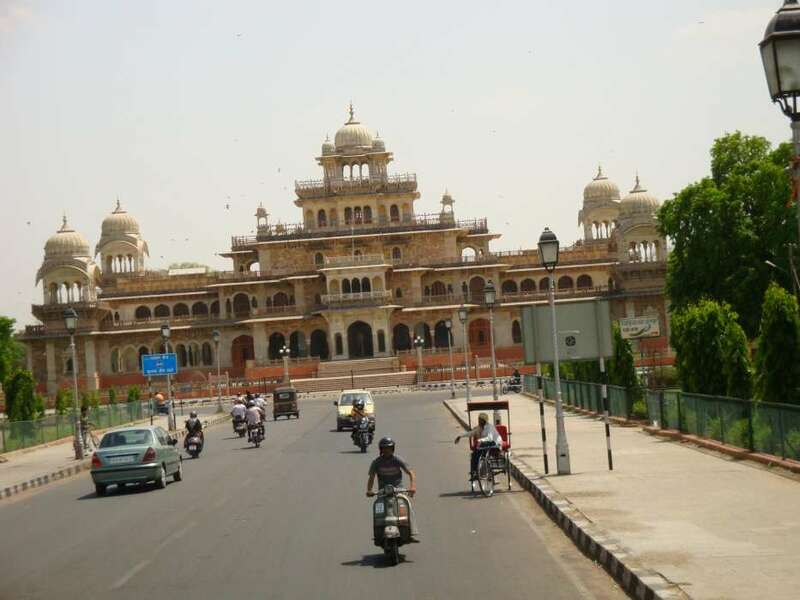 It overlooks one of the main streets, adjoining the outside of the city palace wall, and lies sandwiched between the more prosaic buildings.\r\nThis five storeyed, pyramid shaped structure is made up of small casements, each with windows arched roofs with hanging carvices, exquisitely modeled and carved. It looks more like a screen than a palace. The top three storeyes are single rooms but at the base are two courtyards. It is a 50 feet high thin shield less than afoot thick. 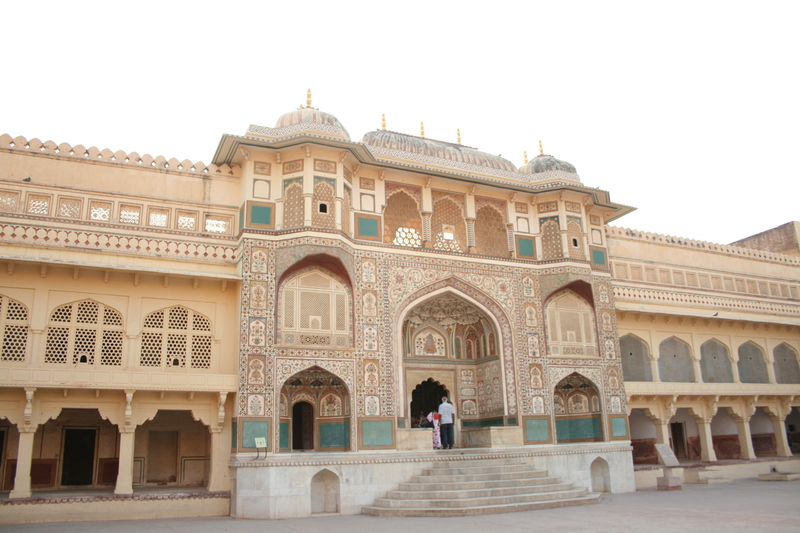 The carved sandstone grills, and domes gives this palace its unique facade. 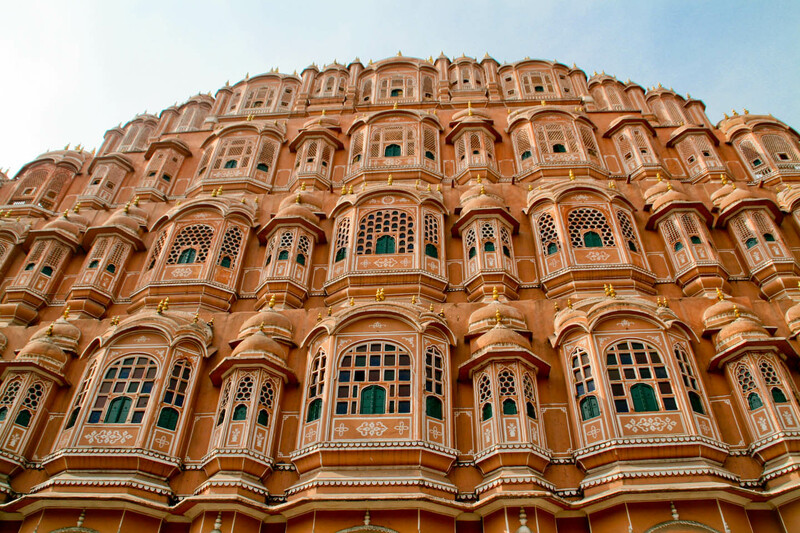 At sunrise the Hawa mahal bathes in the golden light glowing like a gem and is best viewed then. 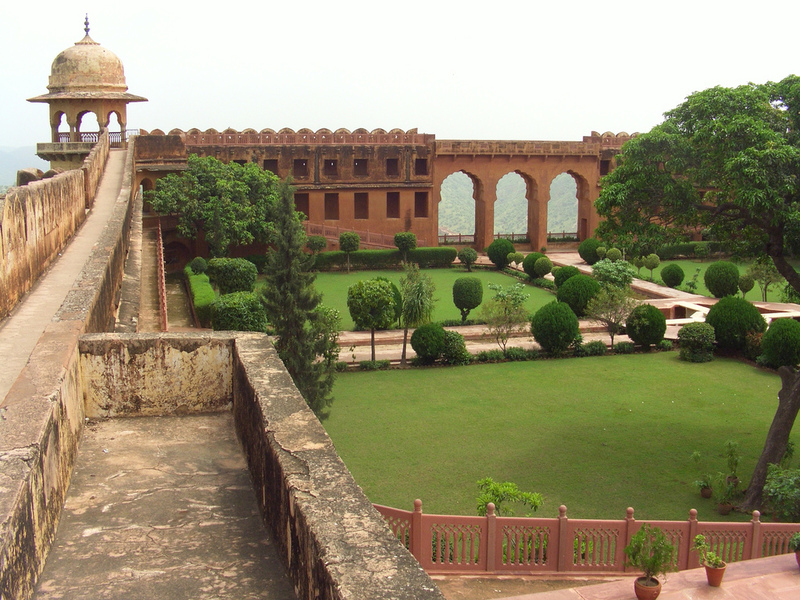 It is one of the most famous of the five observatories built by Sawai Jai singh in the 18th century. He was progressive and believed in science and technology, and was passionate about astronomy. 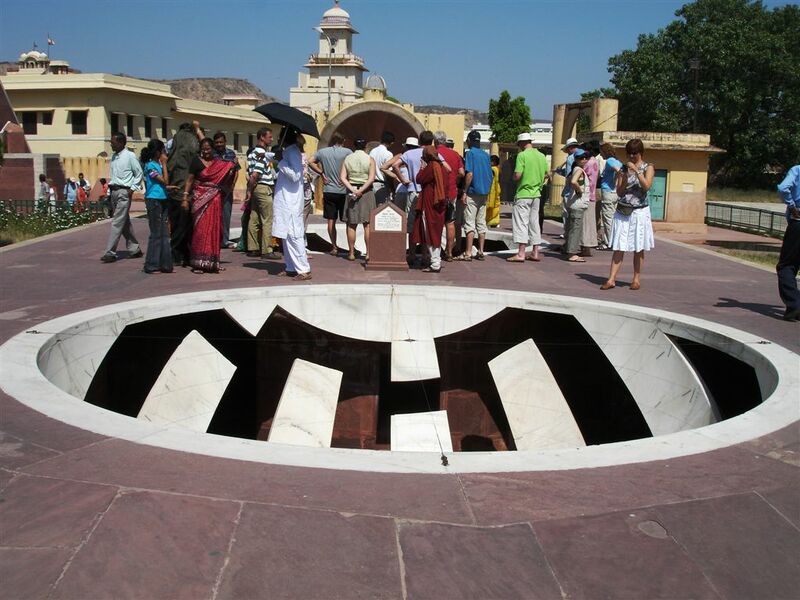 Situated near the gates of the city palace, Jantar Mantar is the largest stone observatory in the world and has an interesting story behind its construction. 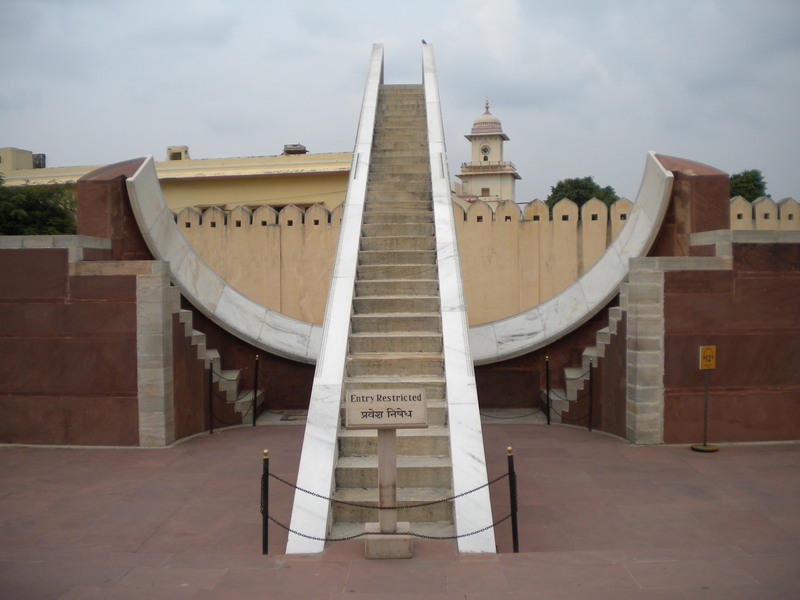 Sawai Jai singh sent his emissaries all around the world before the construction began, and they returned with many manuals on astronomy containing technological information. One of these was the copy of La Hire!¦s tables and the king ordered the observatory to be built on these tables. After the construction they realized that was 20 seconds more accurate than the table! When the foundation stone of Albert Hall was laid during the visit of the Prince of Wales, Albert Edward to Jaipur in 1876, it had yet to be determined what use it would be put to. There were some suggestions about cultural or educational use or as a town hall. However in 1880 Maharaja Sawai Madho Singh II approved a suggestion by Dr. Thomas Holbein Hendley, Resident Surgeon (whose interests extended beyond his medical responsibilities) to open a museum of Industrial Arts to display products of local craftsmen. A small museum was created in 1881 in temporary accommodation and proved most popular. Additionally, Hendley in 1883 mounted a Jaipur Exhibition at Naya Mahal (old Vidhan Sabha). The purpose of these exercises was to acquaint local craftsmen with the best examples of art work and handicrafts of India to inspire them to improve their skills, thereby protecting and preserving traditional art and reviving skills, while providing greater employment for artisans. It was also the intention that the display would help to educate youth in a wide variety of fields, entertain and inform the people of Jaipur. 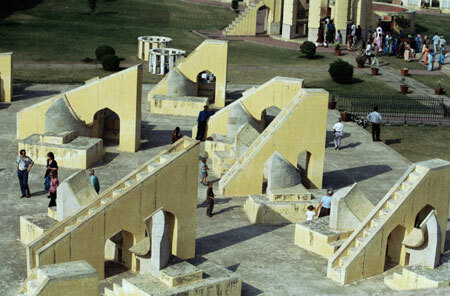 There are plenty of observatories all over the world, but the Jantar Mantar is considered to be one of the largest observatories ever built. 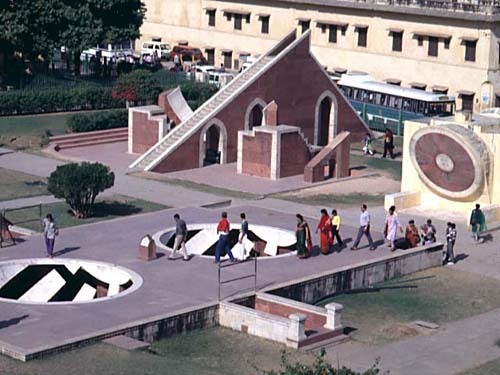 Combining religion, science and art, the Jantar Mantar is the name given to a series of five, magnificent structures built in Jaipur, New Delhi, Ujjan, Varanasi and Mathura. 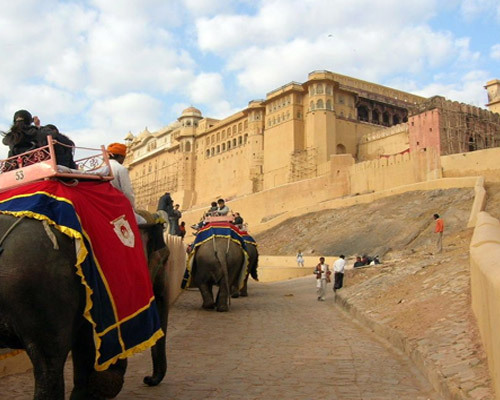 Jaipur was the seat of Maharaja Jai Singh II during the 1720's and this is when this magnificent structure was built here. 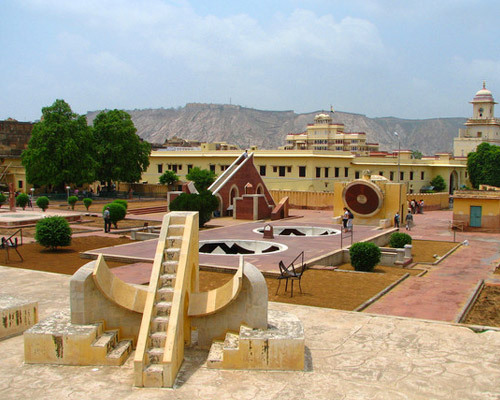 The Jantar Mantar in Jaipur is considered to be the largest of the five observatories and also houses the world's largest sundial. 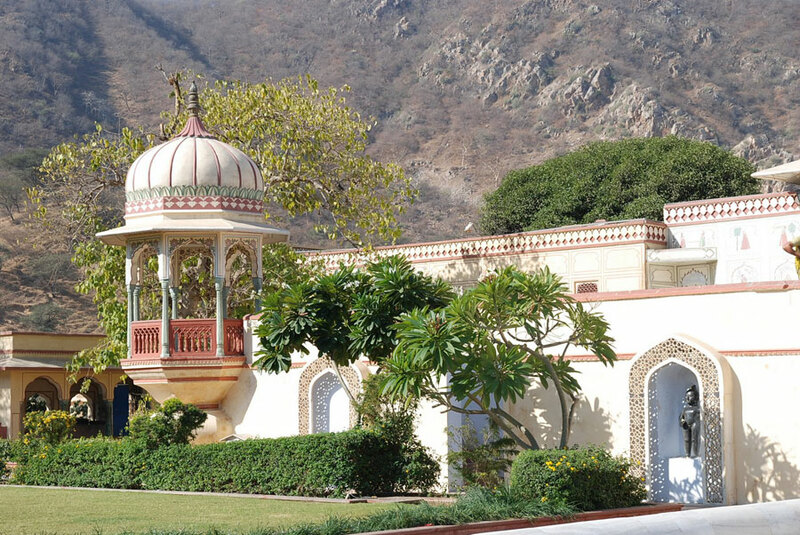 The Universe and the Cosmos have always been of interest to man, and it was this interest that compelled the Maharaja to build an astronomical observatory. 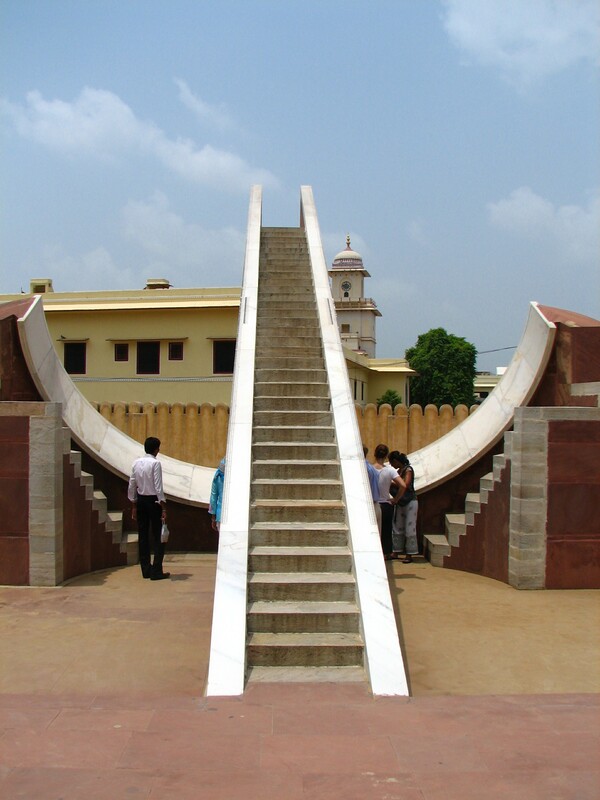 The term 'Jantar Mantar' is derived from the Sanskrit terms 'Yantra' and 'Mantra' meaning 'instruments' and 'formula' respectively. 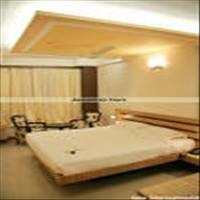 The term 'Yantra' was replaced with 'Jantar' which means 'magical'. 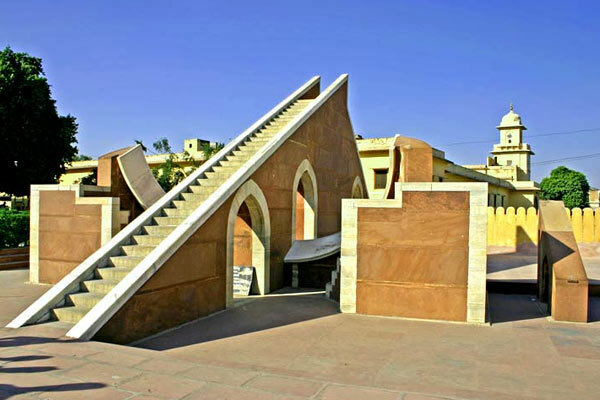 The Jantar Mantar houses various architectural and astrological instruments that have caught the interests of astronomers, historians and architects around the world. 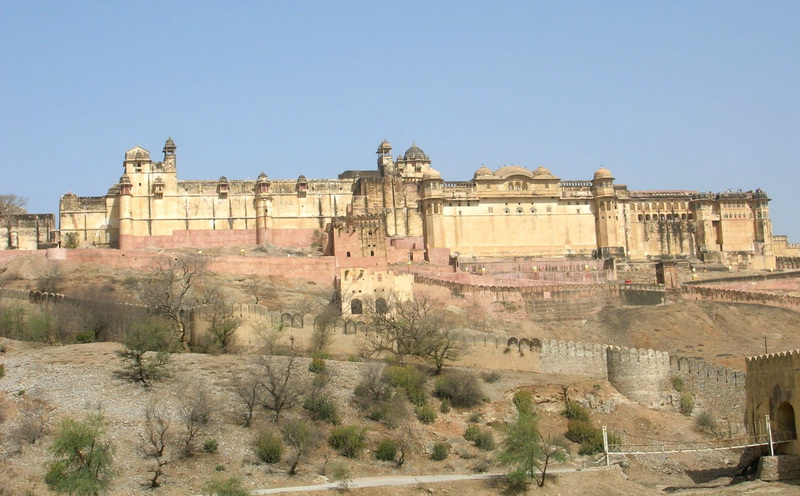 Sanganer is a town situated 16 km south of Jaipur, the capital of Indian state of Rajasthan. 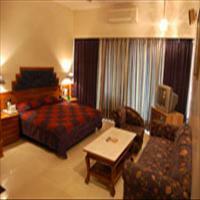 It is famous for textile printing, handmade paper industry, and for Jain temples. 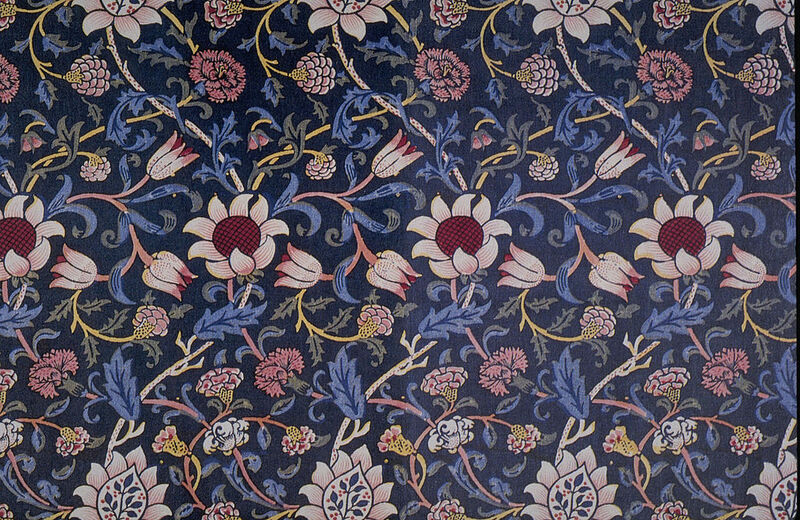 Sanganer prints are one of its own kinds, for the reason that patterns in bright colours are always printed on white backgrounds. 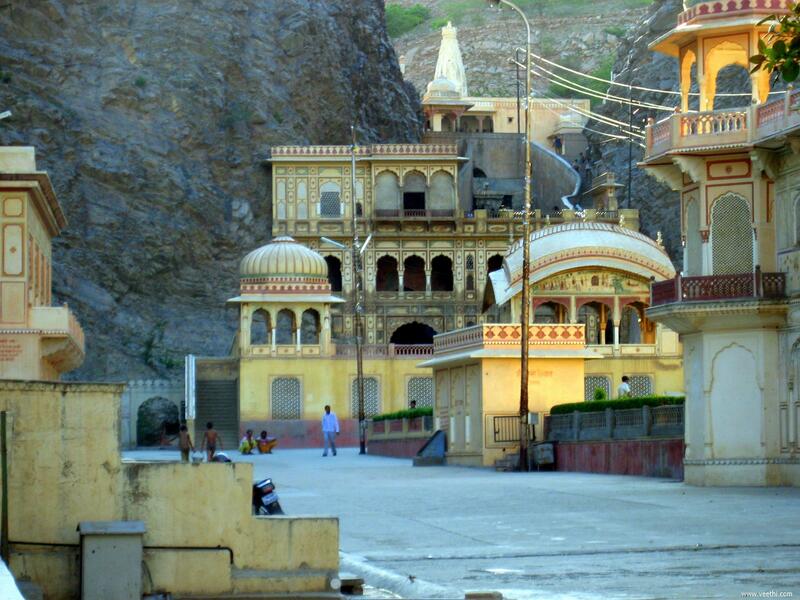 Sanganer is a famous pilgrimage town for the Jain community because of a very ancient Jain temple made of red stone. 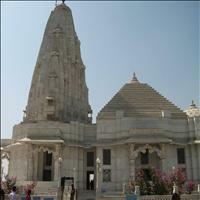 The ancient Shri Digamber Jain temple of Sanganer is 16 km from Jaipur. In this temple the principal deity is the Lord Adinath (Rishabh Dev); The ancient Shri Digambara Jain temple of Sanganer has fine carvings that are comparable to the Dilwara Temples of Mount Abu that are built in many phases. The last phase of this temple was completed in the 10th century A.D., according to inscription of V.S. 1011 in one of the Toranas. It has sky-high shikharas and the inner sanctum is a stone shrine with sky-high eight shikharas (pinnacles). In the midst of underground portion, there is located an ancient small temple guarded by the Yaksha. The sacred temple has seven underground floors which are kept closed due to old religious beliefs and visitors are not allowed to see them. It is said[by whom?] that only a Balyati ascetic Digambara saint can enter in it and able to bring out the idols of this underground temple for a limited period, which is declared and decided previously. The idols thus brought out for viewing (Darshan) of devotees, must be placed back within auspicious signs. The temple came in light when Muni Sudhasagar Ji, a disciple of Acharya Vidyasagar Ji visited the underground floors. He brought valuable, never seen before, Jain Murti made of precious stones from the underground floors in the presence of more than five lac Jain disciples. 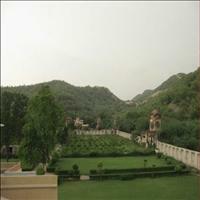 The Vidyadhar garden is a pristine garden located in the heart of Jaipur. One of Jaipur's best-preserved gardens, this picturesque garden is aesthetically designed and was built in the memory of Jaipur's chief Architect, Vidyadhar Bhattacharya. 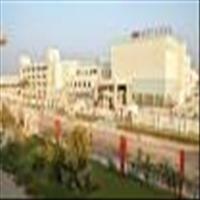 Apart from the crystal waters, the tranquil lakes, flower beds and well-maintained gardens, the Vidyadhar Garden has a lot to offer. Nestled in the lap of a popular valley in Jaipur, the garden offers a panoramic view of the city and is the pride of Jaipur's heavy heritage and culture. 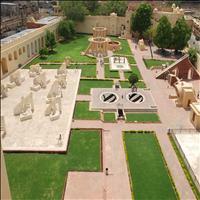 The garden was strategically built to the decrees of the ancient 'Shilpa Shasthra' and is situated close to the Sisodia gardens. 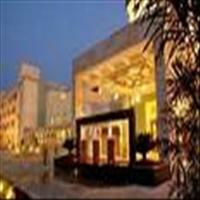 The garden is the perfect amalgamation of contemporary Hindu and Mughal styles with its wonderful, sylvan lakes, terraced lawns, fountains and the majestic pavilions that house Lord Krishna's murals and paintings. 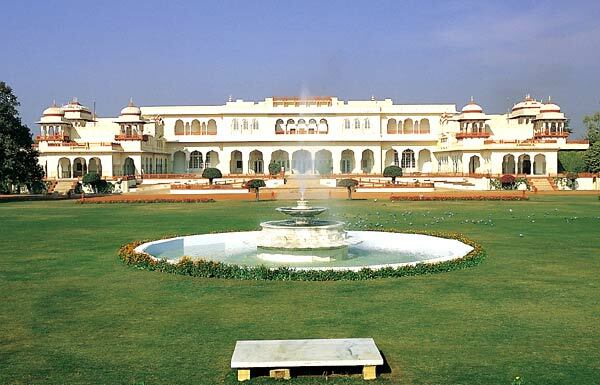 Managed by the Government of Rajasthan, the Vidyadhar Garden is a vast expanse of imperial architecture and dazzling greenery. Experience the age old charm of the royal era with this tour. 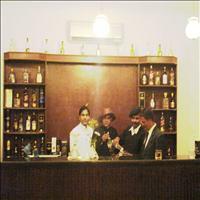 It takes you not just to places but a different era when life as we know was opulent and royalty at its best. With an added attraction of the unforgettable Taj Mahal, immerse yourself in the echoes of the past when the word of the king ruled the day.